Parametric Propeller #3DThursday #3DPrinting « Adafruit Industries – Makers, hackers, artists, designers and engineers! 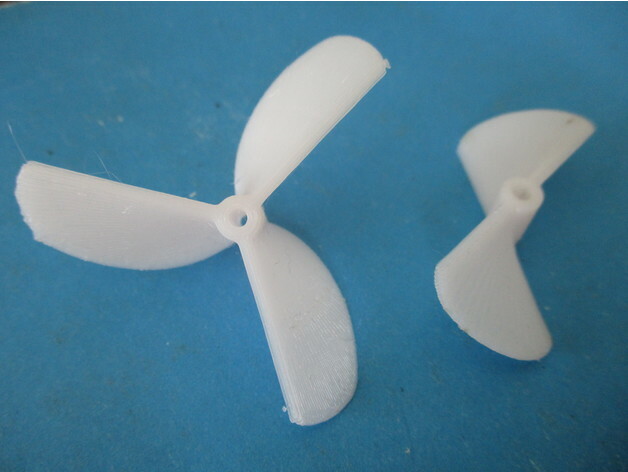 I designed this customizable propeller file for my Mini Underwater ROV project but these propellers can be used for anything from RC boats to fan blades. I also uploaded 2 stl files designed for a 2mm motor shaft. The first propeller has a 40mm total diameter and the second is 50mm.